Balance your emotions with natural flower essences. 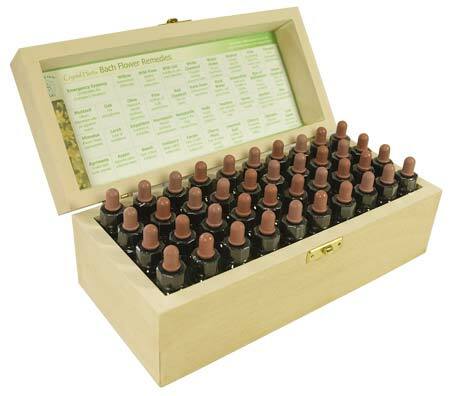 Bach Flower remedies were developed by Dr. Edward Bach (1886 – 1936) in the 1920s. Dr. Bach identified 38 basic negative states of mind, and created a corresponding plant- or flower-based remedy for each one. He sought a safe, simple, and pure method of healing his patients that would take into consideration their individual mental and emotional makeup. He found that certain flower essences stimulated self-healing in his patients by clearing the negative emotional factors that affected their state of health. Dr. Bach’s remedies are derived from non-poisonous plants, shrubs, and trees, and are prepared by heating the flowers in spring water with sunlight, or boiling them to extract their healing essences. These flower essences are completely safe, non-toxic, non-addictive, and may be used in conjunction with any other conventional medical or holistic treatment. While Bach essences are not taken for physical symptoms, the body often heals itself once emotional balance is restored. Dr. Bach’s flower remedies target the mental / emotional state of an individual, helping to clear negative emotions, mindsets, attitudes, and personality traits that not only impede the body’s ability to heal itself, but also create roadblocks to inner peace and happiness. Bach remedies are useful in dealing with stress, fear and anxiety, grief, depression, Insomnia, anger and resentment, excessive worry, procrastination, low self-esteem, guilt, and loneliness.